It looks like the draw of nostalgia truly knows no bounds. Though Nintendo initially revived the Nintendo Entertainment System back in 2016 with the NES Classic, the console was extremely difficult to find right up until the Japanese gaming giant discontinued the sought-after system. Since Nintendo brought back the in-demand retro-inspired NES Classic in June, 2018, things seem a little different this time around. US NPD HW – The NES Classic was June 2018’s highest unit-selling hardware platform, while the PlayStation 4 led the market in dollar sales. This is the first time a Nintendo Entertainment System console has led in monthly unit sales since NPD tracking began in 1995. 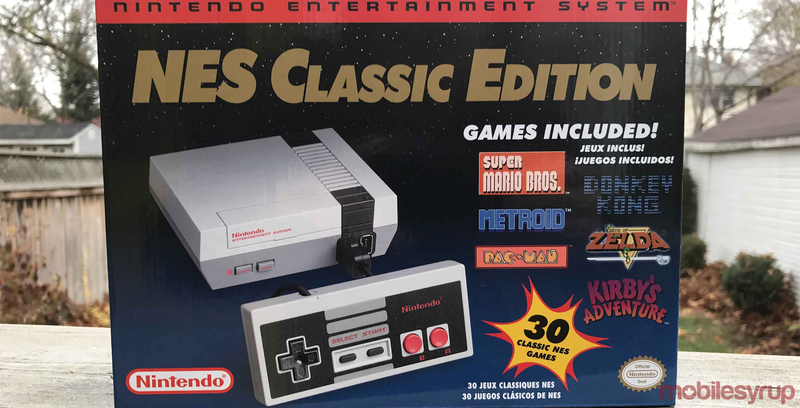 NPD, an analytics firm that tracks video game sales, says that among all of the industry’s modern video game console, the NES classic was the best selling system from June 3rd to July 7th. This means that the NES Classic, a console that’s based on the Japanese company’s classic system originally released in 1985 in North America, beat out the Switch, Xbox One and even the PlayStation 4 in terms of sales. Nintendo’s NES Classic features 30 games including classics like Super Mario Bros., Metroid, Donkey Kong, The Legend of Zelda, and Pac-Man. The miniature modern retro console also supports save game states and connects via HDMI. The NES Classic is priced at $79 CAD. Looking to the future, rumours have been circulating for a few months now that Nintendo could be planning to release a modern version of the Nintendo 64.